The Integration Foundation turned 21 on 31 March 2019. Founded on 31 March 1998, the Integration Foundation is a state agency whose aim is to support broad-focussed integration in Estonia. We do what we do so that Estonia is a good place to work, study and promote culture for everyone who resides here: we participate, advise, organise, manage, support, teach, survey and initiate. We’re based in two cities (Tallinn and Narva) but our activities are aimed at the entire country. We’ve advised almost 6400 people in total – citizens of 68 different countries. We enable people to study Estonian on the basis of Russian, English, German or French using the free app Speakly. Close to 25,000 people started using the app in the first month of its release. Our Estonian Language Centres opened their doors in Tallinn and Narva in 2018 with the aim of expanding Estonian language learning opportunities. Currently there are 1120 people enrolled in our Estonian language courses, while a further 496 are honing their language skills as part of our language and culture clubs. In order to help people find a form of study that suits them, we organise the KU-КУ fair in Tallinn and Narva. This year as many as 1500 people attended the event. Young people from 30 different countries attended language camps designed for foreign Estonians in 2018. This year we are expecting 90 youngsters to take part. We’ve supported 258 national minority cultural associations via 18 umbrella organisations over the years. Since 2016 we’ve been organising an international conference on integration in Tallinn. This year’s conference will take place on 14 & 15 November. 149 people returning to Estonia received support for doing so last year. Up to 90 families will be able to receive such support in 2019. Our team consists of 36 people. Our longest-serving colleague has been working for the foundation since 1 February 1999. In the first three months of this year alone we’ve been joined by nine new colleagues. The foundation has gone by three different names over the years: the Non-Estonians Integration Foundation; the ‘Our People’ Integration and Migration Foundation; and simply the Integration Foundation, which we adopted as our name once again in spring 2017. 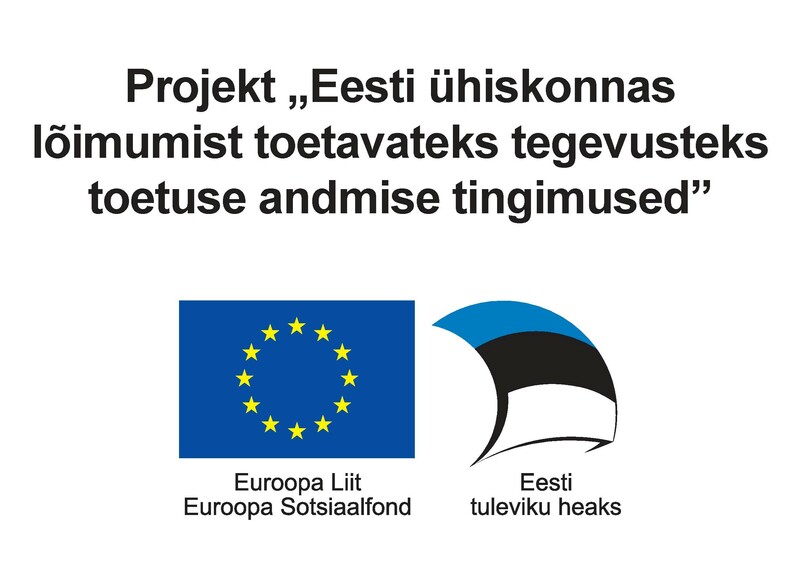 Each and every one of these facts is the result of cooperation – between the foundation and hundreds of thousands of people in Estonia, thousands of foreign Estonians and hundreds of partners. Thank you all for what we’ve achieved so far and will continue to achieve in future!